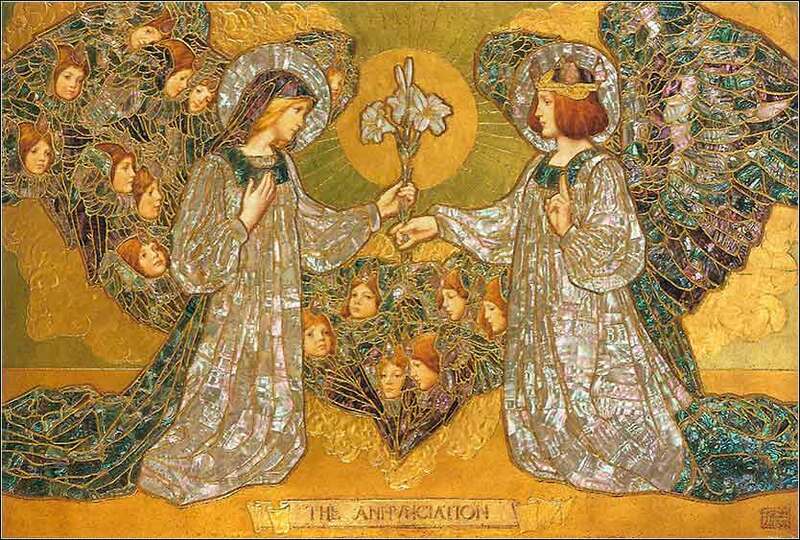 The Annunciation by F. Pickford Marriott, ca. 1901. Our “Virtual Sunday Church” takes us to the Kings College Chapel for one of the great Christmas hymns. May I trust that I am exactly where I am meant to be. God of every nation and people, from the beginning of Creation you have made known your love through the gift of your Son, who bears the name Emmanuel, “God with Us”. 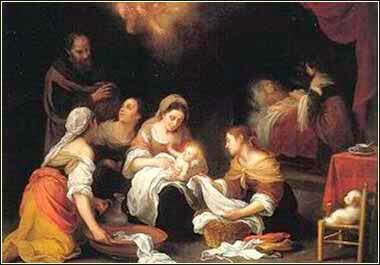 In the fullness of time the Christ-child came to be the Good News to all who would receive him. And they made signs to his father, inquiring what he wanted him to be called. And he asked for a writing tablet and wrote, “His name is John.” And they all wondered. And immediately his mouth was opened and his tongue loosed, and he spoke, blessing God. And fear came on all their neighbors. And all these things were talked about through all the hill country of Judea, and all who heard them laid them up in their hearts, saying, “What then will this child be?” For the hand of the Lord was with him. There is a big surprise in the neighborhood! Old Elizabeth and Zechariah — who has been unable to speak for almost a year now — have had a baby. Their friends and neighbors in the tightly-bound little community are naturally delighted for them. But then, things start to get a little strange. When the prescribed time comes to circumcise and name the baby, eight days after birth, Elizabeth doesn't want to follow the usual custom of naming him after someone in one of their families. So they double check with Zechariah, who (because he can't speak) writes down that, yes, they should name the child “John”. And almost as soon as he writes this down, his power of speech returns, and he begins praising God. These peculiar events soon become the talk of the town and even the neighboring towns. It cannot be an evil thing, because Zechariah is known to be a devout man and is a priest, to boot. Plus, he has been praising God. So everyone slowly realizes that the child himself is special — their fears that this is some sort of weirdness subside, and the people watch the child and wait, for they have come to realize that he is special to God and might do wonderful things in his life. There is a simple lesson for us all in this story. If you want to follow God's will, you might have to do something contrary to the customs of your society. Zechariah — having learned from Gabriel's punishment of muting him for his doubts (Luke 1:18-25) — and Elizabeth get negative comments from their neighbors, because they contravene the rules for naming a baby in their society. But they are doing God's bidding, and as promised, Zechariah's penalty is lifted, and he can speak again.